Guerrilla Games' PlayStation-exclusive shooter series has always managed to drum up a generous amount of pre-release hype. Even back at the series' inception on the now ancient PlayStation 2, Sony fans were all about getting their own taste of something as big and as shiny as Bungie's Xbox behemoth, Halo: Combat Evolved. And in some respects, the Killzone franchise has given them what they craved. The eagerly awaited Killzone 3 is currently enjoying a rather splendid public multiplayer beta and while it's still around four months away from general release, we're pleased to report that not only is the game still illegally delightful to look at, it's a tighter, more enjoyable bullet-fest than its predecessors. If you're at all interested in the Killzone games but yet know absolutely nothing about the game's DNA, then stick around. You're looking at an outlandish futuristic tale of humanity gone bad, big guns and even bigger battles - all fought out between the evil mutated Helghast Empire and the rough-and-ready Interplanetary Strategic Alliance. 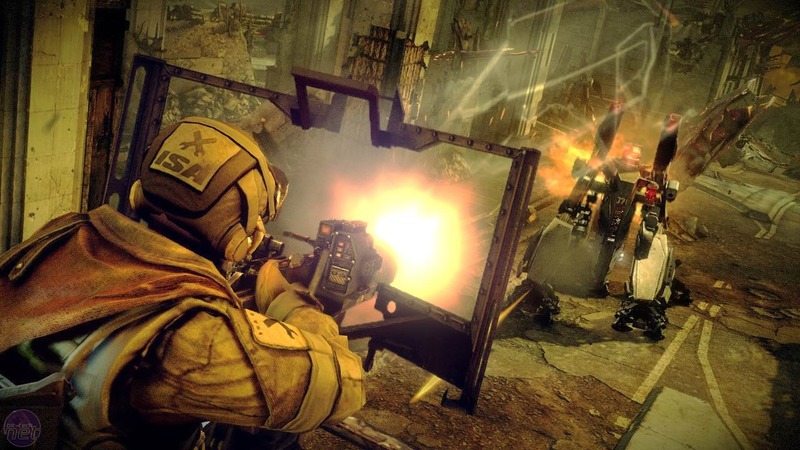 Without dragging things out, Killzone 3 picks up right where Killzone 2 ended and plonks you firmly down in the presumably very smelly war-boots of I.S.A. Special Forces bloke, Tomas "Sev" Sevchenko. See, in the last game, the I.S.A. were trying to take down the Helghast Empire on their home planet of Helghan, and, well, they pretty much succeeded. While the single-player details of Killzone 3 are remaining firmly under lock and key for the moment, we do know that the campaign will see Sev and company ducking and dodging between warring Helghast factions and struggling pockets of I.S.A. forces as they try to escape Helghan. But we came here to dig into what this new multiplayer beta has on offer, and to draw some comparisons to the enjoyable multiplayer experience that Killzone 2 offered up earlier last year. For starters, the beta is limited to around 15,000 players which is more than enough heads to really get to grips with the action. We'll note up front two items of general technical interest surrounding Killzone 3 - neither of which we could do anything about even if the beta supported them. Firstly, Guerrilla Games has built Killzone 3 from the ground to support Sony's recently released Move motion controller initiative. Hey, we've tried playing shooters on the Wii enough to know that it can be pretty hit or miss pastime, but perhaps Killzone 3 can so something a little special this time out! We're not holding our breath too long though. Secondly, it’s one of the first triple-A games to fully support Sony's other new pet project, 3D gaming. You'll need a 3D ready TV (plus eyewear), a copy of the final game and, by all accounts, a tolerant nature to get it working – previous demos haven’t looked great. Again, we're reserving judgement until someone buys us a 3D TV. But putting aside these novelty value-add bits and bobs (perhaps the 3D bit will be very cool in the end) the beta test does a great job of hammering home exactly what gamers should be able to find in the finished product. 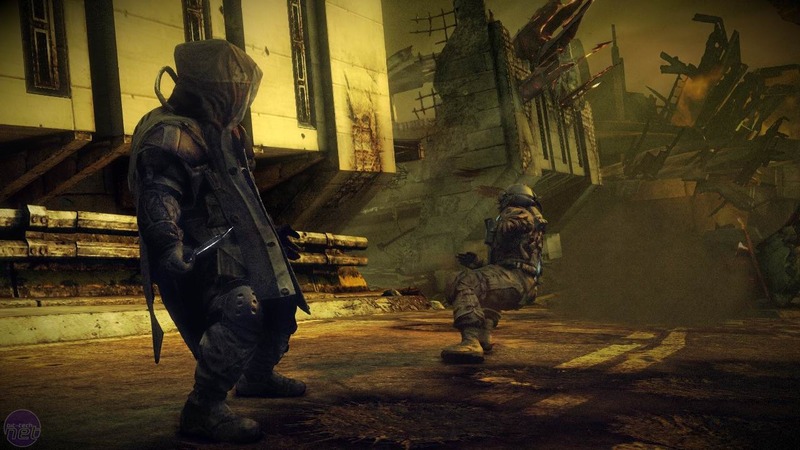 The best features are the visuals - which come close to being the very best we've seen on the PlayStation 3 hardware to-date - coupled with the fact that Guerilla's fixed the single biggest complaint levelled against Killzone 2 which was the laggy controls. There are going to be other additions, obviously. A few "new" modes, some much-needed tweaks to the character class builds - and let's not forget about the awesome jump packs! - but yeah, the controls are fixed and that’s the most important thing. It means you no longer have to condition your brain and reflexes to deal with that weird and off-putting "floaty" feeling when grasping the DualShock 3. There's a probably a good split of console first-person shooter gamers that will tell you how a consistently high frame rate is super-important, and we happen to be in agreement. The Call of Duty games have always done a great job on console of nuzzling up close to the 60 FPS mark, and while avid PC gamers probably find this to be a source of amusement, there are games like Killzone that fall way under that sweet spot. But that's OK because with those tweaked controls, that game doesn't suffer at all - at least not in the beta.